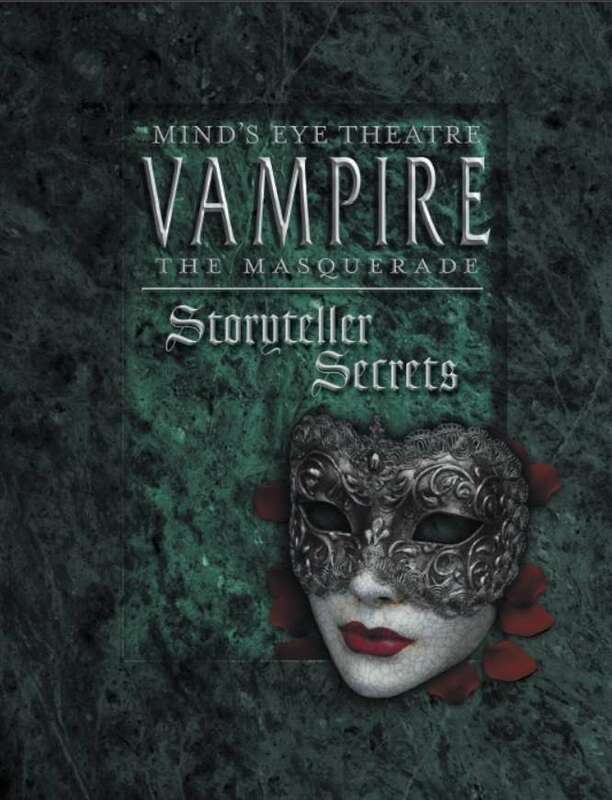 Storyteller Secrets is a collection of original essays, guidance, design notes, advice, how-tos, recommendations and, yes, secrets to help Storytellers of Mind's Eye Theatre: Vampire The Masquerade get the most out of their games. Any update on the Print on Demand version? Personally I think they should be giving this away for free to those of us who have been waiting for our deluxe copies of the core book....which is over a year late now. And how would that be fair to those of us that paid for this? Is it really only 86 pages as the Product Info seems to indicate? Refund or partial refund? I don't know. I just know that I agree that $20 is steep for a PDF book that has no new rules or disciplines and is only 86 pages long. Yeah, I there a PoD any time soon ? So they lowered the price from $24.99 to $20.00. But be real it is a 80 page PDF and that is way to much for a PDF this size. Especially when you take into account what other size publishers are charging and that price difference between this and the 550pg core book is only 5 bucks. Very very disappointed. It's only 80 pages? And all it covers is theory of game design? Really? Could still be helpful - but unless there is a bundle with a softcover I won't buy it.